Where did Jeep designers get those retro taillamps for the chief concept? Jeep designers and engineers spend countless hours every year developing a series of one-off working concepts for the annual Easter Jeep Safari in Moab, Utah. The off-roaders usually are wild adaptations of existing Jeeps, outfitted with specially developed parts or items from the Mopar accessories catalog. But this year, Jeep brand lead designer Mark Allen let slip a little secret: When designers can't find just the right part they need to bring their vision to reality, they often turn to a secret weapon -- eBay. 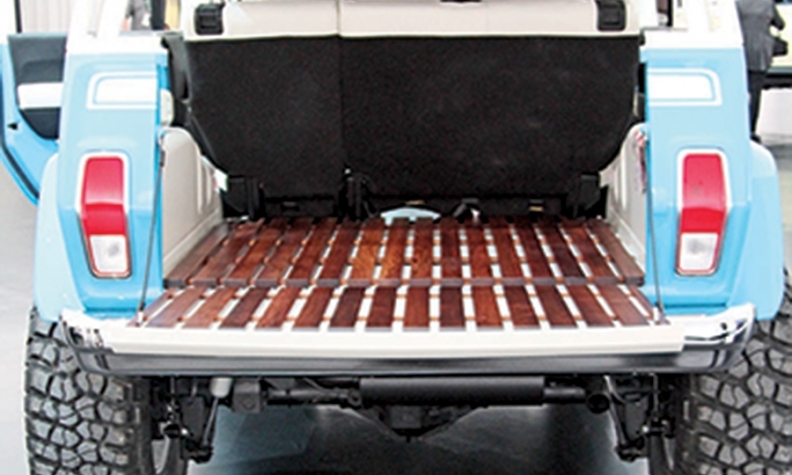 Some features, like the surf-themed Jeep Chief's milled 20-slot grille, were handmade. But other components on this year's Moab vehicles -- such as the Staff Car's 20-foot military-style antenna and the retro taillamps used on the Chief -- were purchased on eBay, Allen admitted. This year's safari runs through Sunday, April 5.